The BIG NIGHT OUT ! 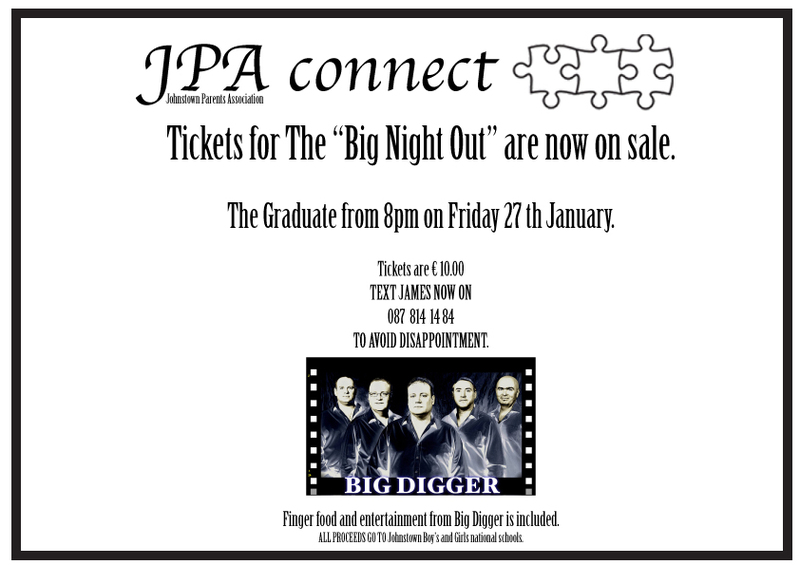 Please book your tickets as soon as you can by sending James a text – he will make arrangements with you for collection. At 10.00 euros per person and all proceeds going to the schools – Food and Entertainment by BIG Digger is included in the cover charge. Please support – this great opportunity to meet each other socially and have some fun too ! Please share and let other parents know. This entry was posted in Committee News, Fundraising, JPA event, Parents info and tagged fun, Graduate, Music. Bookmark the permalink.